We’ve got some great new content to help you with your application’s analytics! Register for our upcoming webinar to get a first look at our latest release. 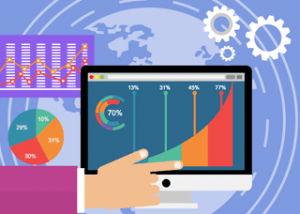 Learn the top reasons to embed analytics into your product in our Datanami article. 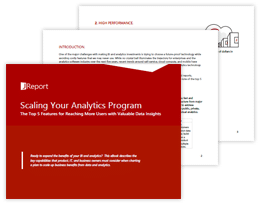 Learn the key capabilities that business owners should look for when planning to scale their analytics in our eBook, “Scaling Your Analytics Program”. Lastly, check out our recent webinar on how to embed scalable enterprise reporting into your application. Enjoy! Join us to learn how our latest release of JReport combines enhancements in mobile, performance and ease of use for the most sophisticated embedded analytics and reporting solution. When is embedding analytics into your application the right option? It’s a legitimate question for those who aren’t familiar with the benefits of embedded analytics. 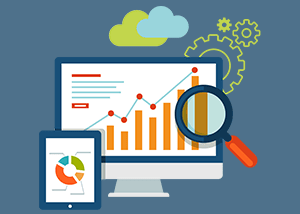 Learn the top reasons to embed analytics in your software applications. 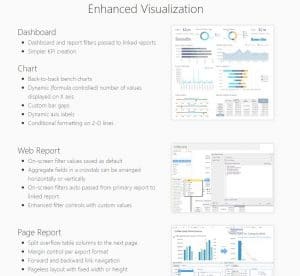 Learn how to provide advanced reports to your users. 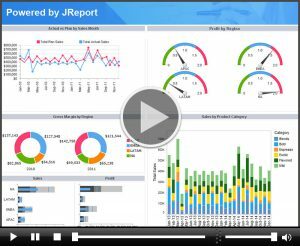 With JReport you can empower your users with pre-defined reports and dashboards or empower them to build their own.